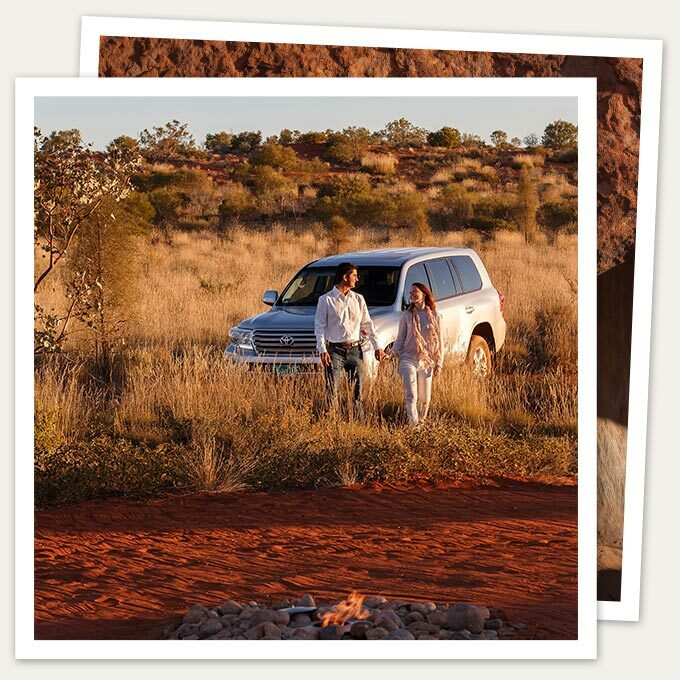 At Longitude 131°, guests take the road less travelled, sharing exclusive and authentic Australian outback experiences with just a few others. 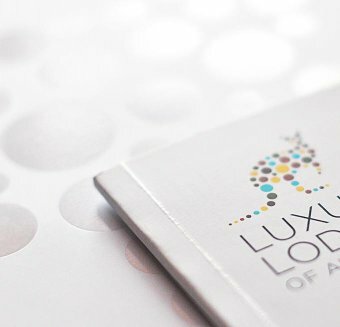 Together, guests explore the living and cultural landscapes of Uluru and Kata Tjuta on an exceptional Longitude 131° private touring program, designed exclusively for guests and included in the luxury wilderness experience at Longitude 131°. Uluru-Kata Tjuta National Park is located in what has traditionally been the territory of Pitjantjatjara and Yunkunytjatjara people. The traditional owners of the Park call themselves Anangu or Pitjantjatjara people. Anangu life revolves around the Tjukurpa. Tjukurpa, is the word that Anangu use to refer the ancestral time when the world was being formed by heroic beings. 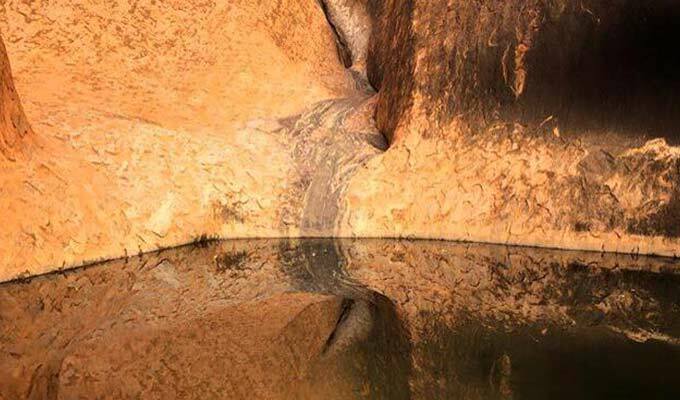 Discover peaceful Mutitjulu Waterhole and the sacred site of Kuniya Piti as the sun lights up the ancient monolith. During the walk, the lodge guide shares the Anangu creation story of Kiniya and Liru, adding greater depth to Uluru’s striking features. Explore the impressive formation of Kata Tjuta, also known as the Olgas, comprising 36 majestic domes. Walk through Walpa Gorge and discover how eons of weathering and continental upheaval have created today’s landscape. Later, visit the Cultural Centre where informative and interactive displays provide insight into the spiritual and cultural meanings of Uluru and Kata Tjuta. Journey to the base of Uluru and learn the history of the ancestral Mala people. During the Mala Walk, view cave paintings and other relevant sites important to both Anangu and the early explorers. Enter Kantju Gorge at dusk to witness the gorge walls illuminated in the vivid evening light, enjoying sunset drinks and canapés in the silence and solitude. The mesmerising and award-winning exhibition, Field of Light Uluru, by critically acclaimed artist Bruce Munro has now been extended until the end of 2020. 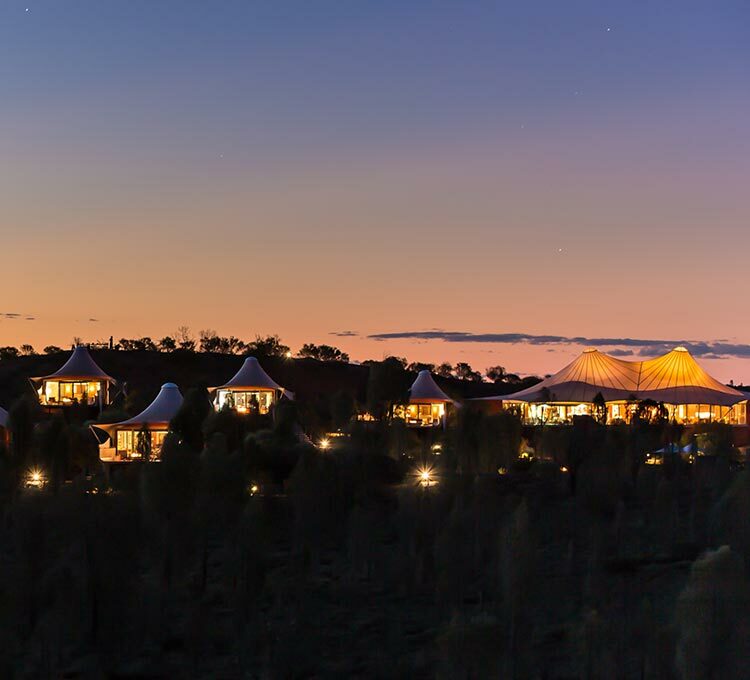 Under a star-studded outback sky, 50,000 slender stems crowned with frosted-glass spheres will continue to light up the spiritual heart of Australia and guests have the opportunity to walk the field of light as part of their stay. Guests may follow the program including the tours above, or design their own bespoke experiences with the help of expert guides. Subject to availability, Longitude 131° can offer private touring for all guests (pre-bookings are recommended).